Our vinyl & transfer technology is accurate and efficient, meaning great results even on short runs. 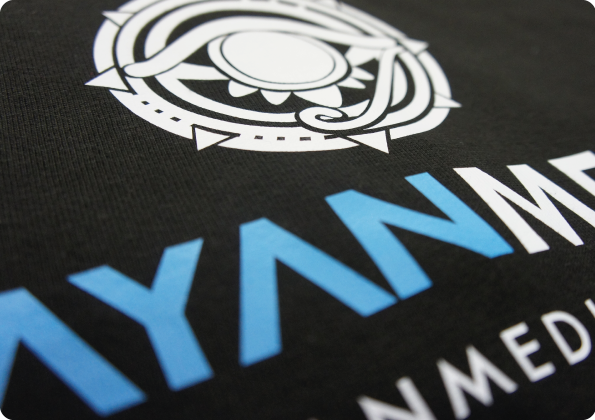 This makes us able to produce one-off and personalised designs at affordable prices. Cut vinyl involves computer-controlled equipment precisely cutting shapes from sheet vinyl. 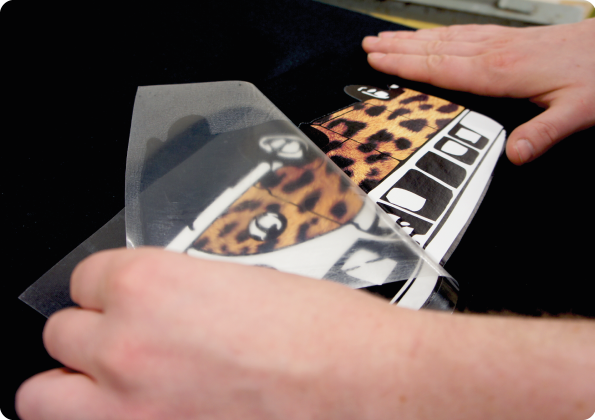 Vinyl is commonly used for applying personalisation- think of the names and numbers on the back of football shirts. Glitter – if you want to add some sparkle, we can use glittered inks or vinyl for a finish that shimmers. 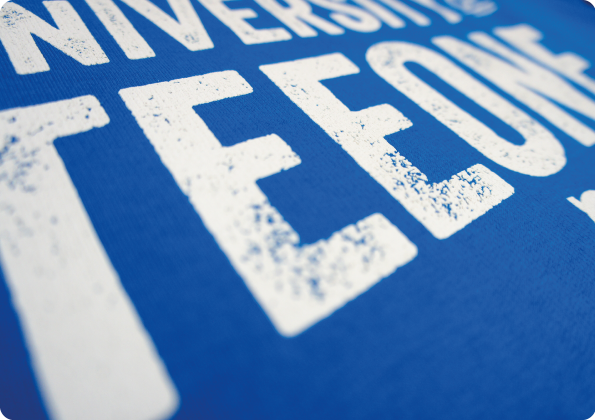 Flock – this unique print process creates a velvet-like raised and textured surface to the print. This works best on block areas and/or single colours to give an incredibly tactile finish. Puff – this special additive is combined with standard inks to create a finish that literally stands out. It creates a three-dimensional print, yet remains soft to the touch. Glow in the dark & Solar – choose whether you want to come to life in the sunshine or the night-time. Solar will transform a black and white print into bursting colour when exposed to UV- and glow in the dark does what it says on the tin! Retro distressed – this washed & washed again finish is bang on trend and ideal for a relaxed look.